Even though the United States is fighting two wars at the moment, there's no evidence of it in our local supermarkets. That wasn't the case during both World Wars, when food (like sugar) and other goods were rationed, here and in Canada (which, during WW I, sent more than 600,000 troops to battle). 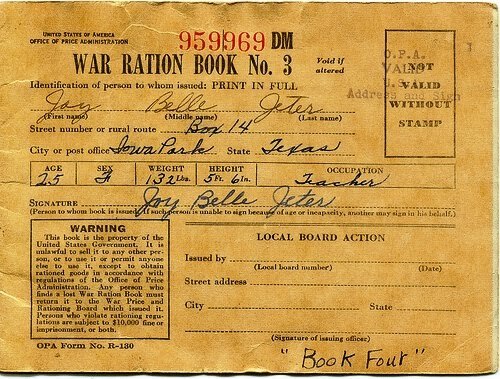 Wartime rationing created a cuisine borne of economy and necessity. Canada War Cake is a perfect example -- "no eggs, no butter, no milk!" -- or casualty, since it was the only thing I've made this year that wasn't worth the calories. It was rather dense and heavy and looked like a brick. M.F.K. 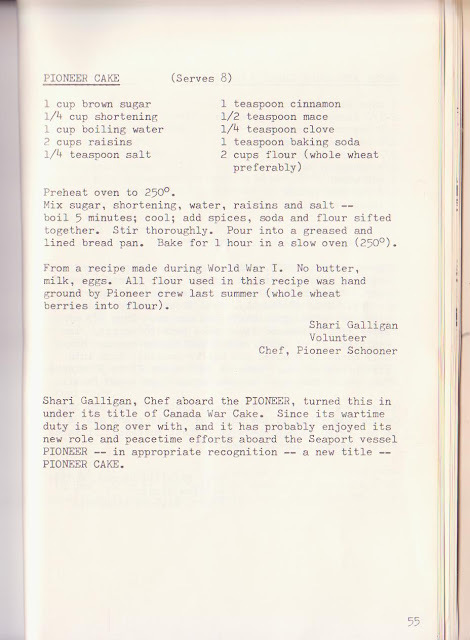 Fisher, the prolific food writer and essayist, included a War Cake recipe in her 1942 book, How to Cook a Wolf , and Sunmaid Raisin (quick to capitalize on a cake whose main ingredient is raisins) developed a three layer Canadian War Cake, complete with icing. My experience with Canada War Cake is just another reason to wish for peace on earth (and cakes made with eggs and butter). 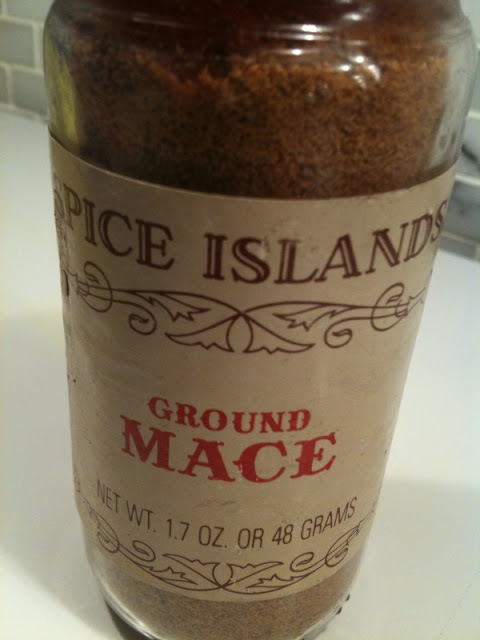 Wasn't familiar with Mace.. as a spice! But glad to hear it comes in a jar, as well as in the more traditional "spray" we've come to know in NYC! Before she donated her collection to the UM, she had all sorts of famous foodies traipse through her house to view it. @ABA: I'm sure it would have been easier to find the spray than the spice! Really, my search for mace took twice as long as it did to make the cake. @Margaret: Thanks so much for that link....maybe I will visit Ann Arbor. i have the cookbook u r looking for it's by Mrs. Grace Osborn Cakes of Quality (how to make them) the year is 1919 in bay city, michigan. exceptional cake making successfully taught angel cake, puff cake, klondike cake, mahogany cake and ten others. @Kelly: Thanks for writing! I do have the cookbook (but it may by the prototype). Does yours appear to be professionally published? Mine is a bunch of typed pages held together with string! Would you be interested in selling your book, by any chance? I'm totally fascinated by Grace. It appears she also had a line of cookware and vanilla for sale - very enterprising in those years. Please email me at visit.susan@gmail.com if you're ever looking to sell your copy. Where did you get it, and have you tried any recipes? What I find intriguing is the fact that she insists that cakes be put in a cold oven to start (which is weird because it's the heat reacting to the leavening in the cake that makes it rise). Dense and heavy! Yes! That's one of the reasons I like it. 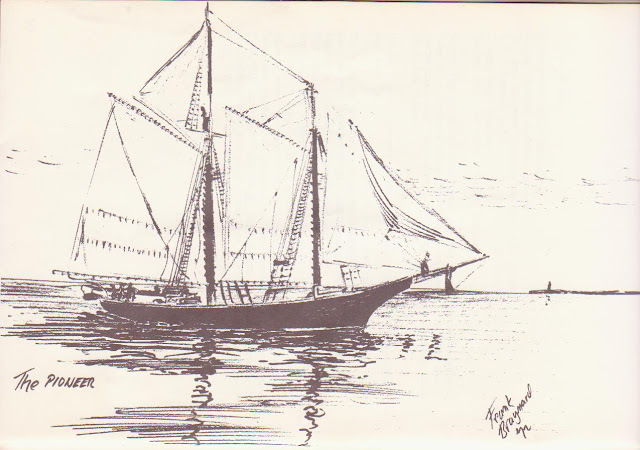 The biggest reason, however, is that my Grandmother who lived in Maine was born and raised in Canada. She seemingly always had Canadian War Cake on hand. My Mom (her daughter-in-law ) learned to make it. I guess it's a real "comfort food" to me! @Francine: What a great concept for a book club! You must choose your books very carefully! Glad you found the blog, and Canada War Cake, while not delicious, was still enjoyed. I have Grace osbornes 1919 cookbook, would like to sell how much do you think the price should be? @Anonymous: I have no idea how much you should ask for the book. You could try to put it on eBay and see what the market brings. I bought my first one (a soft cover, 8.5 x 11 volume) for about $10 and have two others, one a soft cover and the other a smaller hard cover, and I doubt I paid more than $20 or so for each. Good luck! While not a fan of Canadian War Cake myself, my aunt LOVES it! Every year for her birthday I make her one of her favorites just like her mother did when she was living. I think for her, it is more of a fond memory than the taste of the cake that she enjoys so much! The recipe I have doesn't use mace... I will try to locate it for you. Happy baking! Thanks, Misty. I agree with you, that we like certain foods more for the memory they evoke than for the actual taste. Thanks for writing! Well this is just a crappy recipe for war cake! EVERYONE had their own version! 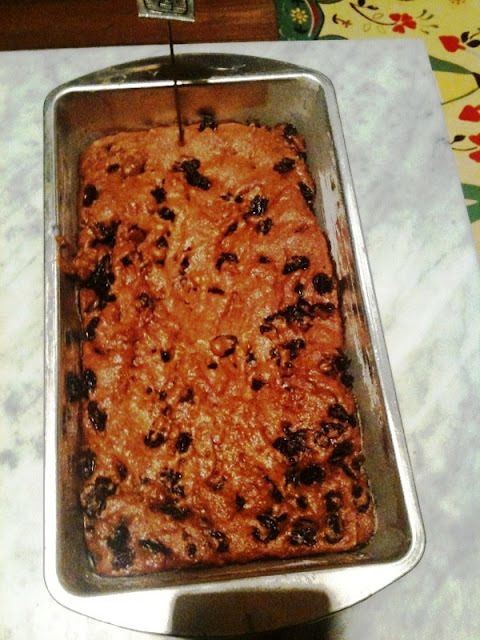 Try this it's excellent - 2 cups raisins 2 cups brown sugar, 2 cups water and 2 tbsp lard - mix and bring it to a boil, boil for 5 minutes and set it aside til it is room temperature. Sift in 3 cups flour, 11/2 tsp baking soda and the spices you like in a gingerbread I use a 1/2 tsp ginger and 1 tsp cinnamon because that's what my old maritime recipe calls for. Put it in a greased tube or bundt pan and bake at 350 for an hour - the liquid must be room temp or it ends up crappy and dry. Like this it's got a crunchy sweet outside and a moist gingerbread inside. It gets better with age. Store in the fridge. Try this one before you toss war cake into the regrettable recipe pile! I agree with Mudmama, that is a terrible recipe and you should try hers, it is very close to my own. 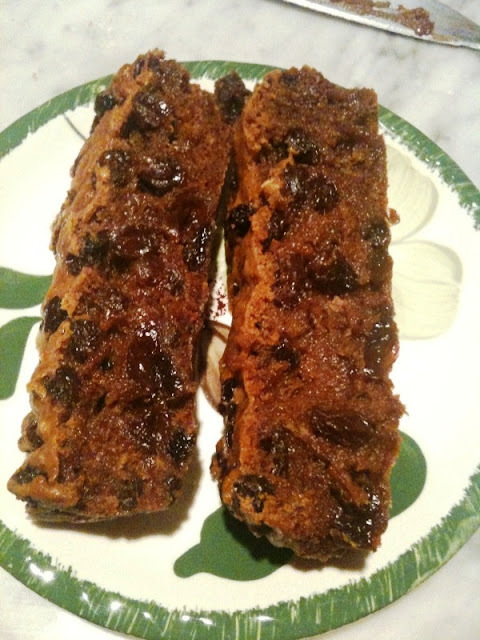 I make this every year for Christmas instead of fruitcake and my family loves it!